My goal with this article is to provide you with practical link building strategies that will improve your website’s organic rankings. But first, a few definitions, nomenclatures, and warnings are in order. If you’re in search engine optimization (SEO), digital marketing, or you’re a small business owner, you have most certainly been solicited link building services. It was probably via email with someone stating they have strong relationships with high domain authority sites or something about guest posting. My personal favorite is when the pitch includes sites they own and an offer to add your links for a specific price. No thanks. Trust me when I tell you that nine out of ten of link building services are typically very low quality or flat out violate a Google policy. Well, executing link building tactics properly, effectively, and ethically is a bear of work! We know that links pointing to a site are a top three ranking signal out of hundreds of SEO ranking signals. Unfortunately, this fact brings out companies and freelancers with low quality services looking for a quick cash grab. But don’t worry. If you read this article to the end, you will not only know how to implement these tactics on your own, but you will also be prepared to ask the right questions to your prospective link building partner. A backlink is an incoming hyperlink from one page to another. The link between the two websites is the backlink. Acquiring new links is an integral part of Off Page SEO and ranking a site in general. There was a time where you could submit article after article to these directories and it would have a material impact on rankings. These sites are frowned upon in Google’s eyes because they add no value to users. In fact, the only people utilizing them are those who are acquiring low quality links. There are freelancers on Fiverr that sell thousands of backlinks. They list your site on thousands of Web 2.0 properties basically overnight for a nominal fee. This tactic gives you an insanely high Link Velocity, which looks very suspicious and will most likely result in a penalty from Google. Good luck disavowing 5,000 links! Link Velocity has to do with the rate in which you acquire new links. If you are acquiring them naturally, there will likely be some sort of relationship between how often you create new content and the rate in which you acquire new links. It’s one thing to pay for a service, but if you are directly paying for a link that passes PageRank, you are gaming the system and breaking Google’s Policy. This is considered a Link Scheme. Rest assured, Google is good at finding webmasters who participate in these schemes and will not hesitate to issue a penalty. It really does amaze me the length people will go to cut a corner, cheat, or find a way for an unethical edge. A PBN is a network of sites built for the sole purpose of linking to one site. The network passes authority to one site in an effort to manipulate the search algorithm. It is obviously a Link Scheme and pure Black Hat SEO tactic. If you hear this term from someone pitching you link building services, run for the hills. When you produce a very high-quality piece of content that answers important questions, other sites will notice and link to your content. Your content will naturally supplement someone else’s content, and you’ll gain links without having to ask for them. Notice, throughout this article I am linking to other content that provides definitions or supports points I am making to enhance this article. The publishers I’m linking to are being rewarded for creating valuable content and for acquiring a new backlink. If you naturally acquire a link with a high Domain Authority, that would be the holy grail of link building. You put the time in to produce a killer piece of content, and the world noticed and rewarded you with links! Now you know why consistently producing high-quality content is so important. Identifying sites that can link back to your content, reaching out, building relationships, and acquiring new links is a very important skill set. Sometimes you just have to ask for a link, but it must be done tactfully. I constantly receive link requests from other content creators, and I am often surprised how little effort went into the pitch and wordsmithing of the email. I’ve learned that the trick is to think about the value to the site owner first. Look at it from their perspective, be extremely specific, and add why your content deserves a link. I’ve been reading the Digital & Social section of your blog the last few months, and I find the content engaging and informative. Nice work. I just got done reading “5 Myths about Influencer Marketing That Need To Be Shattered.” I agree the myths you pointed out are common misconceptions. Great write up. In the third paragraph of the section titled, “It only wins short-term customers,” you talk about content marketing and well-managed blogs. In order for a blog to be well managed, each post must have On Page SEO best practices implemented. In this section I thought you might want to link to my long form blog posting on the topic to help educate your readers about On Page SEO, https://rocketpilots.com/page-seo-perfectly-optimized-page/. As you can see, my email is relatively short, informs the author I read their content, and shows praise for their hard work. I also point out a very specific spot where my link can enhance the article. This is important. I am asking for something so I want to make it as easy as possible for the webmaster. Lastly, I state that my article will further educate their readers. This is critical because I am illustrating that the link will benefit their site and followers. Keep it about them, not you! They saw the value, and a few days later I acquired a new link with a Domain Authority of 84/100. Woohoo! Guest Blogging is when you offer to write content for an industry-related blog. It’s a well-known tactic for inbound marketing and is grossly underutilized by many brands. In reality, I could write an entire post dedicated exclusively to guest blogging. Instead, I’ll just focus on how the tactic relates to building new links. Similar to custom blogger outreach, you will need to identify a list of target sites and reach out with a pitch. The main difference is that you will be contacting sites that are known to work with guest bloggers. This means your success rate will be much higher. In fact, the recipient of your email may be glad to hear from you. Sites that work with multiple writers are often looking for strong and knowledgeable writers to contribute content. The publishers will have a certain criteria, so you can’t liberally link back to your site. But in most cases, a well-placed, tasteful link is not a problem. If you over deliver and provide a great post, chances are you’ll be invited back to write again. This, of course, presents another opportunity to build links, increase your credibility online, and acquire more inbound traffic. If you’re a local business with a physical address, then citations are low hanging fruit. Citations are listings of your Name, Address, and Phone Number (NAP) on directory listings like YP.com, Foursquare, local.com, Google My Business, etc. The goal is to ensure your NAP is accurate across 25+ directories for each location. If you have moved or changed numbers over the years, your presence on directories can get a bit messy. You might be thinking that some of these directories will not drive any traffic, and you’d be right. However, citations are an SEO ranking signal classified under Local SEO. The links you build from the directories could also help your rankings by boosting your site’s overall domain authority. You can build out your citations by hand or use a service like Synup or White Spark. I like Synup for automation and White Spark for more local and niche directories. Niche directories are citations but specific to your city or industry. For example, Justia is a niche directory for Lawyers. A local link can be a directory or site that relates to a certain city. For example, if a business group on Meetup.com is linking back to your site, that would be an example of a local link. Anchor Text – The content inside the anchor element. Put another way, the words that are hyperlinked. The tool I use for Anchor Text Planning is Linkio. In the previous sentence, I provided a link and the Anchor Text is “Anchor Text Planning.” Typically you will want a well-balanced approach to different types of anchor text. You’ll also want a high number of links to the homepage with branded anchor text (the name of your company as the anchor text). Backlink Profile – A term used to describe how many links and the quality of links a site has. Broken Link Building – The tactic of intentionally looking for sites with broken links and then asking the site owner to swap out the broken link for your link. Content – The text, video, or infographic the other site will be linking to. Deep Link Ratio – The percentage of links going to your subpages/inner pages instead of your homepage. Disavow – If you acquire unwanted links, I recommend reaching out to the site owner and asking them to remove the link. If this approach fails, you can disavow the links. This won’t remove the links, but it will tell search engines to ignore the links. You can disavow links in Google Search Console and Bing Webmaster Tools. External Links – Links going from your site to another site. Followed Links – The links you want! If you use a tool like ahrefs, you can easily identify your followed links. Footprints – The term is used to represent your link profile. Your footprint can be bad—for example, if it’s full of spammy 2.0 directories. Or it can be great if it’s full of high domain authority sites. Hidden Link – A link that is not easy to see. It may use a text color the same as the background or be stuck inside an irrelevant image. This can be done intentionally or unintentionally. Either way, search engines can see this practice as manipulative. Inbound Links – A link coming from another site. When I talk about anchor text, I am mostly talking about the anchor text on your inbound link profile. You won’t always be able to control it. But, when you are doing outreach, you can always ask for specific anchor text. At the end of the day, it will be up to the other site owner. Internal Links – A link on your site linking to another page on your site. You will want to link from the homepage to important product or service pages. You will also want to link from your blog postings to specific product or service pages. Link Juice – The value received from a link. Nofollowed Link – Designed to tell Google not to pass any of the link’s value to the site. They can be great for traffic but not for ranking purposes. Outbound Linking – Links from your site to another site. An outbound link from your perspective; an inbound link from the perspective of the recipient. Paid Links – The practice of buying a link with the goal of improving your site’s rankings. It’s a direct violation of Google’s policy, and I highly discourage the practice. Reciprocal Linking – An agreement to link to someone who links to you. Sitewide Links – Links that exist on every page of a site—maybe on a sidebar or in the footer. Other than user navigation, there is not much value from a ranking’s perspective. Unnatural Link Warnings – A warning found in Google Search Console when unnatural links have been found. Typically, this is the consequence of link schemes or shady link building practices. I’ve spoken with many small business owners who have read the importance of link building and are eager to get started. They immediately want to get into our pricing, how many links we can build per month, etc. While I always appreciate the enthusiasm, I often find they are actually not ready for a successful link building campaign. Even though link building is a top two ranking signal, there are some items that need to be checked off the list prior to launching a campaign. Also, believe it or not, sometimes there is lower hanging fruit. No quality publisher is going to link to a really bad website. Make sure your site looks good, loads fast, is mobile responsive, and is easy for users to navigate. Before you link build, you should take care of your Local SEO (if you have a local presence), Technical SEO and On Page SEO. It seems out of order to launch a well-thought-out link prospecting campaign if you haven’t done the basics like connect your site to Search Console and submit an XML Sitemap, or if you are asking for a link to a page that has not been optimized with On Page SEO best practices. There are some exceptions to this contingency, but you’ll find your link building efforts to be much easier with high-quality content. The exceptions would be brand mentions linking back to your homepage, directory links, partners linking back to your site, brands you sponsored, and online reviews with links to your site. There are so many great reasons to be in the habit of creating high-quality content on a regular basis. A well-thought-out blog strategy can increase your rankings, traffic, and conversions, establish your credibility, help solve problems for prospective clients, and set your link building campaign up for success. Other content creators are accustomed to utilizing external links in their blog content. They’re linking out anyway, so if you ask for a link to a killer piece of content that helps illustrate one of their points, your success rate has the potential to be very high. First on the list is ahrefs, which is the crème de la crème of link building technologies. The software allows you to review link profiles and key metrics like URL Rating and Domain Rating. You can input competitor URLs that are out ranking you, review their link profiles, and identify dozens of link building opportunities. If you’re serious about building links, I highly recommend ahrefs. The Screaming Frog SEO Spider is a versatile piece of SEO software. Anyone who has been in SEO for a while has inevitably used Screaming Frog. The key function as it relates to link building is its ability to crawl a site and identify broken links. These broken links are golden opportunities for you to notify the site owner and suggest your link as a practical replacement. Subsequent to identifying link prospects, you’ll want a place to organize, store, and reference notes about your relationship with the website. Excel, Google Sheets, Zoho CRM, or Hubspot. If you’re doing link building for your own site and prefer to skip additional software fees, you can make Excel, Google Sheets, or the free versions of Zoho or Hubspot work. If you get really deep into link building, you will eventually outgrow these platforms. But, it’s a great place to start and the price is right! There are actually not that many Link Building CRMs on the market. The most well-known and reasonably priced are BuzzStream and Ninja Outreach. Both these tools allow you to tightly manage your history with a website, organize link prospects, and manage personalized outreach. If you’re just getting started, I recommend the free options above and then upgrading to professional software once your needs change. If you have some experience and you want every edge you can find, then demo both applications and pick the one that suits your specific needs. I mentioned this in the glossary above, but I’ll elaborate by providing you a step-by-step actionable plan. Custom Blogger Outreach is when you reach out to a blogger or webmaster and ask for a link back to your site. Step 1 is to identify a list of sites you want links from, also referred to as link prospects. Link prospecting alone is a very valuable skill set. It’s important that you have several tactics to ensure you have an endless supply of prospects and also the ability to create a very unique backlink profile. This is one of the simplest and most straightforward tactics. Conduct a live Google search for the top keyword you want to rank for. Grab the URL of the number one listing. Log in to the ahrefs dashboard, enter the URL, and search. Filter results by “Dofollow,” Group similar links or sort by One Link per Domain and export to Excel. In Excel, sort Domain Rating in descending order. And now you have your first list of link prospects. Keep in mind that you can repeat this tactic for other sites that outrank you. I like this tactic because, contrary to the tactic above, it provides the opportunity to acquire unique links—links that perhaps your competitors do not have. It’s also great for local links and geo-targeted campaigns. Let’s say you’re a personal injury attorney. You would access Google Maps and type in something like “lawyer associations.” The first three results returned are the San Diego Bar Association, San Diego Volunteer, and the Lawyers Club of San Diego. Now you would have at least three local links to add to your prospect list. allintext – Returns results that contain your search as text within a page’s content. Let’s say your search term is “Workers Compensation California.” You can find pages containing this text by searching “allintext: Workers Compensation California.” I recommend creating a document and saving the Advanced Operator as follows: “allintext: keyword.” Then just swap out “keyword” with your actual keyword and search in Google. allintitle – Returns results that contain your search within the title. 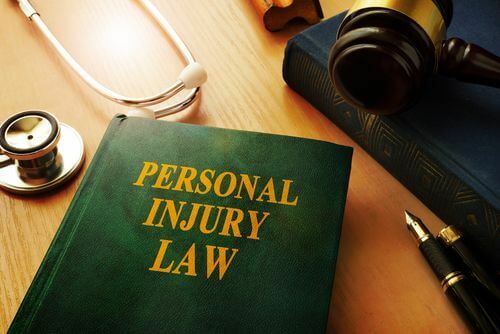 Let’s say your search term is “personal injury.” You can find pages containing this text in the title by searching “allintitle: personal injury.” Save the following: “allintitle: keyword.” Swap out “keyword” with your actual keyword and search in Google. allinurl – Returns results that contain your search within the URL. Let’s say your search term is “criminal defense.” You can find pages containing this text in the URL by searching “allinurl: criminal defense.” Save the following: “allinurl: keyword.” Swap out “keyword” with your actual keyword and search in Google. For example, allintitle:personal training “write for us” or allintext:home security “guest post.” From there, review the results, make a list of the sites that are accepting guest post, and reach out. Be sure to include samples of your content to show off the quality. The concept is simple. You identify sites in your industry with broken links. The premise is, the site owner will be pleased that you brought the issue to their attention. But you’re doing more than just showing up with the problem. You have the solution: a link to your site as the replacement link! You start by prospecting for sites with broken links, then when you do outreach, you craft your template accordingly. The trick is to find broken links with anchor text that corresponds to a piece of content you have written. This ensures your link is relevant and will serve as the perfect substitute. Of course there are several tools on the market for identifying broken links. Our favorite at Rocket Pilots is Screaming Frog. Okay, remember I started this section laying out the step-by-step guide for executing customer blogger outreach. Before getting to Step 2, I needed to make sure you were well equipped to put together a comprehensive list of prospects. Step 2 – Go through each prospect’s site and look for a page that appears suitable to accept a link from you. Make note of the page you selected. Step 3 – On that page, find a very specific section where your link could go and have a solid reason for your selection. Again, make a note so when you come back to your link building initiative you can pick up where you left off. Organization will be key to a successful campaign. Step 4 – Decide what would be ideal for your anchor text. Go for a good balance of different types of anchor text. Step 5 – Begin to craft “pitch templates.” Some of the language can be standard, but you will need to customize each and every email. I am well aware that this is time consuming, but it will materially improve your link acquisition success rate. Step 6 – Begin your outreach. Send email after email, and tightly organize your communication. If you’re using Excel or a CRM, make notes just like a salesperson would manage a sales cycle. Step 7 – Repeat. Repeat. Repeat. You’re now ready to take on the task of building links to your content and skyrocket your site through the rankings. The fact that link building is such a large task is actually a good thing. It means most of your competitors may not be doing it or at least not doing it well. Identify how many links your competition on the first page of Google has, set a goal to acquire more links than them, and get to work! Bookmark this article and use it as a reference point throughout your link building initiative. Leave your comments below and let me know what your experience has been with building links and how your campaign is progressing.